Its no aftin I dae twa postins in tha yin day. But anither sowl fae near tha low country (yin wae a quare guid blog o her ain). 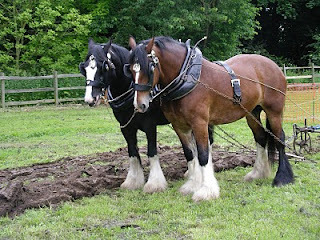 Sent mae anither aul sayin that cums fae ploughing.